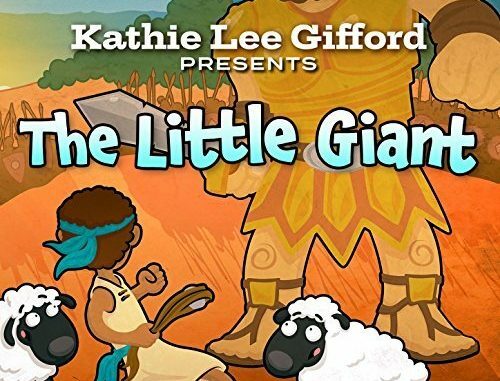 Nashville, Tenn. (Sept. 14, 2017) – Three-time EMMY® winner Kathie Lee Gifford will unveil The Little Giant, a new recording that tells the David & Goliath story in a contemporary yet timeless way, on Sept. 29. Regis Philbin (as Jesse) and Broadway notables Aidan Gemme (as David) and Gregg Edelman (as King Saul/Goliath) among others joined voices with the celebrated television and Broadway personality who assumed the role of Sheeba, an ewe with tons of personality. The 30 minute album is filled with 13 new tunes produced by multi-platinum selling David Pomeranz and co-written by Gifford, inspired by the timeless story. The Little Giant will release on Sept. 29 through New Haven Kids, a division of New Haven Records, which is distributed to the faith-based retail trade through Provident Music Distribution and to mainstream market through SONY Music Distribution. To pre-order The Little Giant, visit Amazon or iTunes. Kathie Lee Gifford is the 3-time EMMY® winning co-host of the fourth hour of TODAY, alongside Hoda Kotb. Prior to NBC News, Gifford served as the co-host of “Live with Regis and Kathie Lee” for 15 years, where she received 11 Emmy nominations. She has written several musicals including Broadway’s “Scandalous,” which received a Tony nomination for Best Actress in 2012. Gifford also starred on Broadway in “Putting it Together” and “Annie.” Gifford has authored three NY Times bestselling books including “Just When I Thought I’d Dropped My Last Egg,” “I Can’t Believe I Said That,” and the popular children’s book “Party Animals.” Her book, “Good Gifts, A Year In The Heart of a Home” raised over $1 million for The Salvation Army. For more information, go to www.kathieleegifford.com. David Pomeranz’s songs and solo recordings have sold over 40 million copies worldwide, earning him a total of 18 Gold and 22 Platinum records. 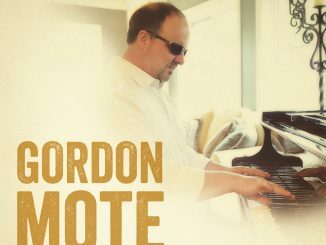 He has written songs for the likes of Barry Manilow, Richie Sambora (of Bon Jovi), Ann Wilson (of Heart), Bette Midler, The Muppets, John Denver, Glen Campbell, Kenny Rogers and many others. He has an Emmy Award Nominee for his song work on television and composed the songs (with Kathie Lee Gifford) for two Stage Musicals – Off-Broadway’s “Under The Bridge” and, (along with David Friedman), the Tony-nominated Broadway Musical, “Scandalous.” For more information, go to www.davidpomeranz.com. New Haven Records is a Nashville-based music corporation that includes label, publishing, and film companies. For three decades, they have focused on the uniquely American genres of Black Gospel, Southern Gospel, and Country & Bluegrass Gospel. Their children’s label, New Haven Kids, features the best-selling series, A Child’s Gift of Lullabyes. New Haven’s product is distributed to the mainstream through SONY Distribution and to the Christian marketplace through Provident Music Distribution. For additional information, go to www.newhavenrecords.com. Throughout her career and ministry, Rhonda has served at SGNScoops.com, GospelMusicUpdate.com, and SouthernGospelUpdate.com (as Editor in Chief). She has also published articles in Singing News Magazine and CCM Magazine. As a music journalist, Rhonda interviewed numerous well-known artists (such as Bill and Gloria Gaither, Larnelle Harris, Phillips Craig & Dean, Jason Crabb, and many more). She has also covered the GMA Dove Awards, KLove Awards, The National Quartet Convention, Harmony Honors, GMA Hall of Fame, and other special events. Rhonda is also a songwriter and worship leader.